Amazon beats out IBM in a bid for a CIA contract to move to the cloud. IBM contends the decision – but is forced to withdraw in embarrassment when a federal judge said that due to the “overall inferiority of its proposal,” IBM “lacked any chance of winning” the contract. 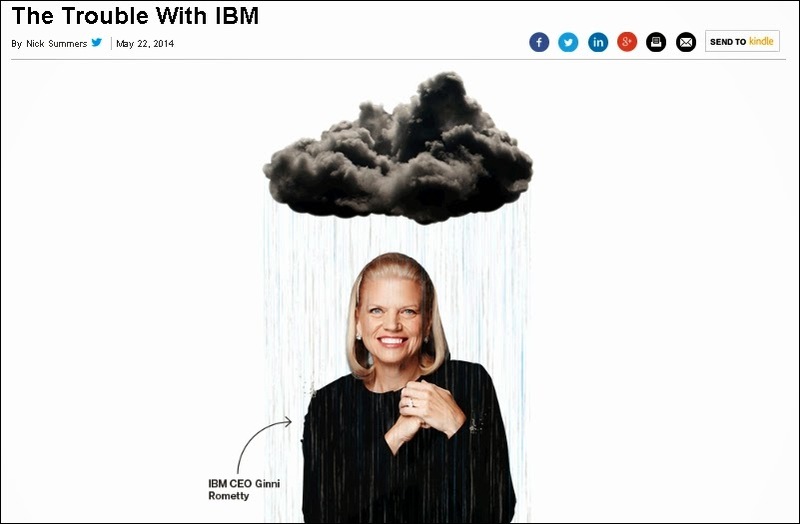 IBM was the only company in the Dow Jones industrial average whose shares lost value last year. IBM has been around for over 100 years and fueled much of the innovation we’ve seen in the technological world. Could we be witnessing the fall of Big Blue? This article is a living history of an epic and once, seemingly invincible, technological stronghold. Read the full Article HERE. There's a Fog Rolling In: Is the Future of the Cloud on the Ground?